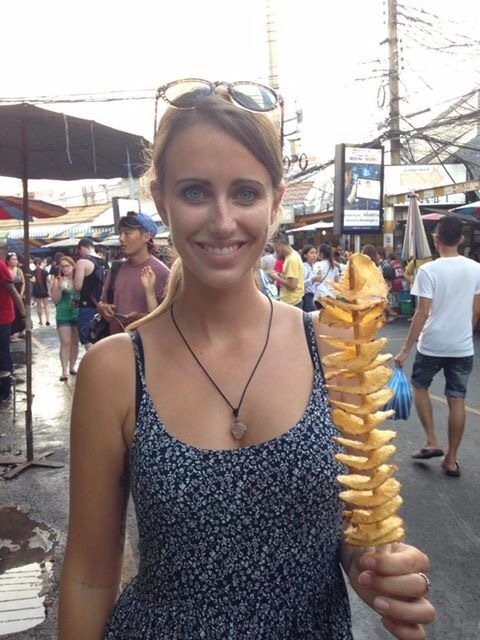 Bangkok is like a cultural melting pot. It is the perfect mix of old and new. You have the craziness of Khao San road which is filled with backpackers, markets, restaurants and bars selling cocktails in buckets, you have China town selling strange foods and markets full of trinkets as far as the eye can see and then you have huge shopping malls, trendy bars and sky scraper buildings. There really is something to please every type of traveller. 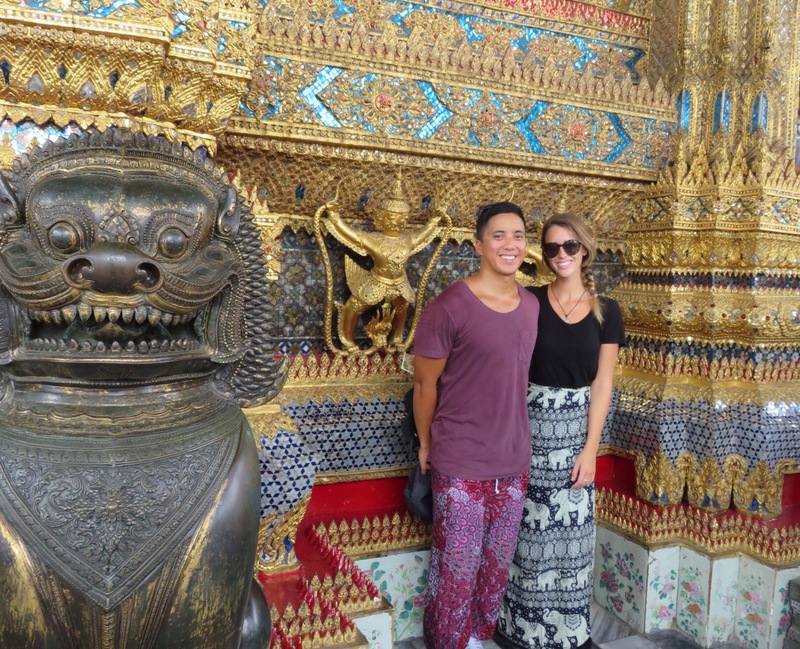 We had four days in Bangkok and I really don’t think that was enough, we left with so much of Bangkok undiscovered. It is a huge city after all. 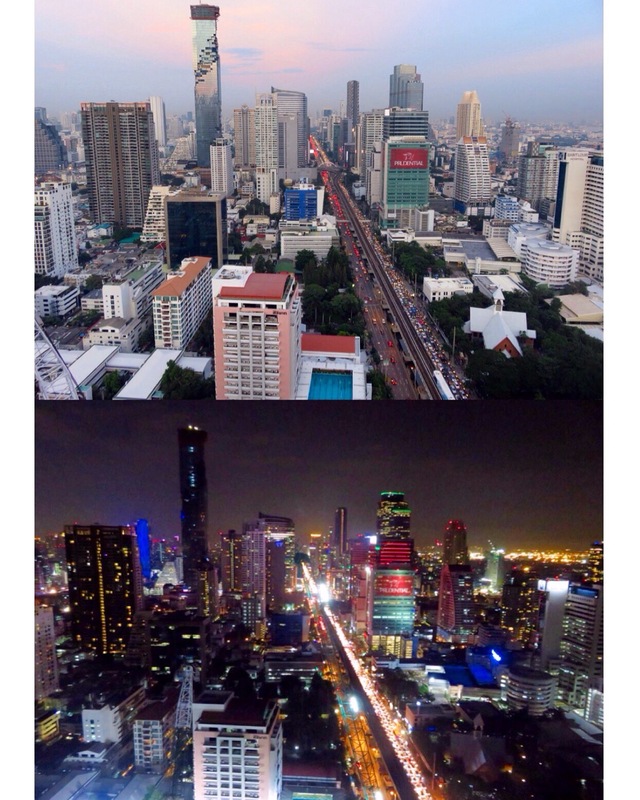 Here’s a list of my top things to do in Bangkok. 1. 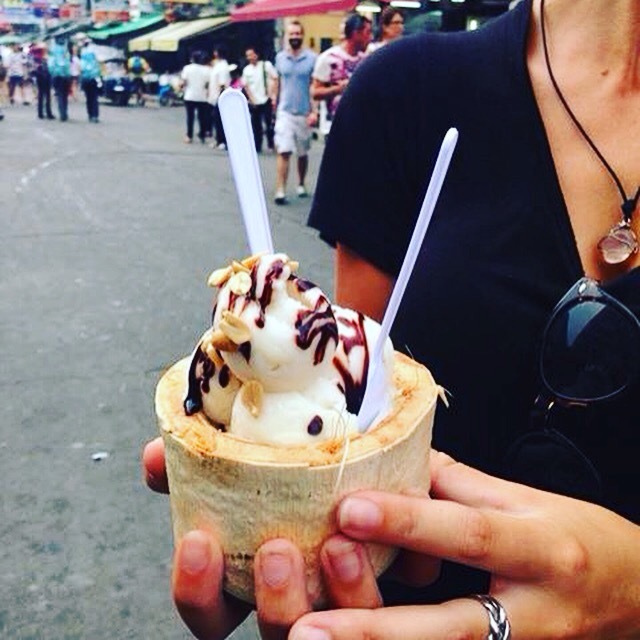 Take a walk down Khao San road. We stayed right near Khao San road so we spent a lot of time there. By day it’s quite a simple street with some cool markets selling the usual touristy stuff you’d imagine in Thailand but by around 5pm the whole street transforms. There’s food stalls selling anything from coconut icecream for $1, Pad Thai for $1 to a variety of different bugs on a stick for $2. (Tom was brave enough to eat a big juicy grasshopper and a scorpion…I stuck to the Pad Thai), there’s bars full of people dancing and staff trying to sell you buckets, there’s massage chairs filling the street full of tired tourists getting their feet massaged and there’s different types of live music and dj’s blasting from every restaurant and bar. It’s definitely not as crazy as Bangla road in Phuket but it’s up there! 2. 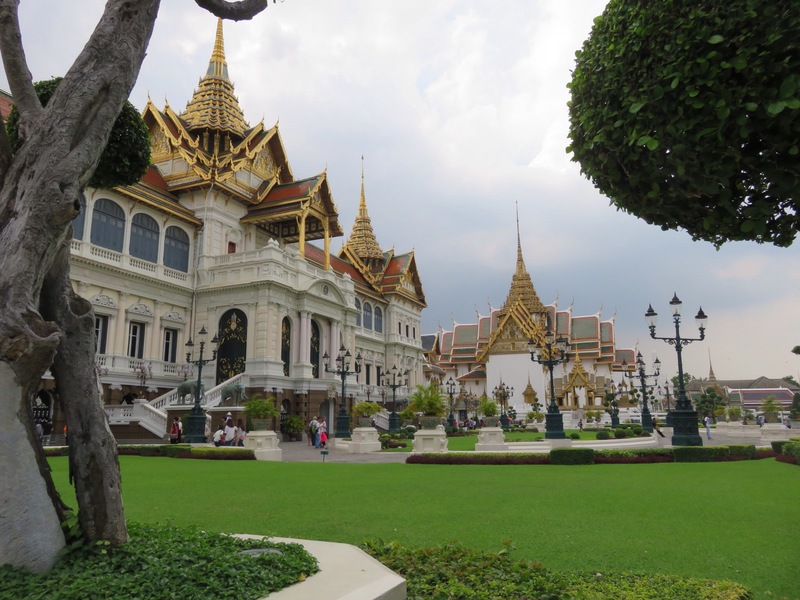 Visit the emerald Buddha and the Grand palace. These two are in the same complex and are well worth a visit despite the crowds and the sweaty weather. The dress code is very strict with everyone needing their shoulders and knees covered for respect. Even though my leggings covered my knees they were “too tight” to be let in. I had to run across the road and buy a sarong and Tom had to wear our friend Tessa’s pants as his shorts weren’t long enough, it was highly amusing. The place is massive, everywhere you turn there is amazing details and colours, I must have taken over a hundred photos. My only tip would be to go early! We went at about 11am and it was FULL of people which made it a little unpleasant, especially in the heat. 3. Check out one of the many shopping malls. The one we went to was 7 storeys full of high end shops. It was definitely a place only for window shopping but it was nice to look around and cool of in the air conditioning. They also have the fanciest cinema I have ever seen! 4. Get lost at Chatuchak markets on the weekend. These markets were recommended to us by our friends and they certainly didn’t disappoint. There are around 8000 market stalls covering over 32 acres. It’s impossible to see it all in one day but it’s worth a try! The markets are filled with anything from unique clothing, furniture, food and pets. We found some really nice clothes there and tried some amazing food. My favourite being the Thai fish cakes and the potatoes on a stick. 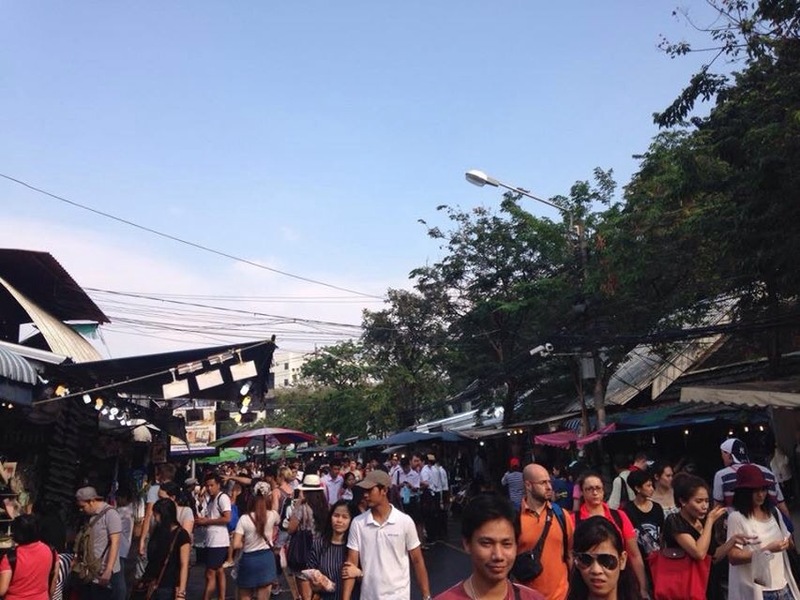 This market is only open on the weekend and gets really busy so be prepared for a crowd. 5. Have a sunset drink at one of the many roof top bars. 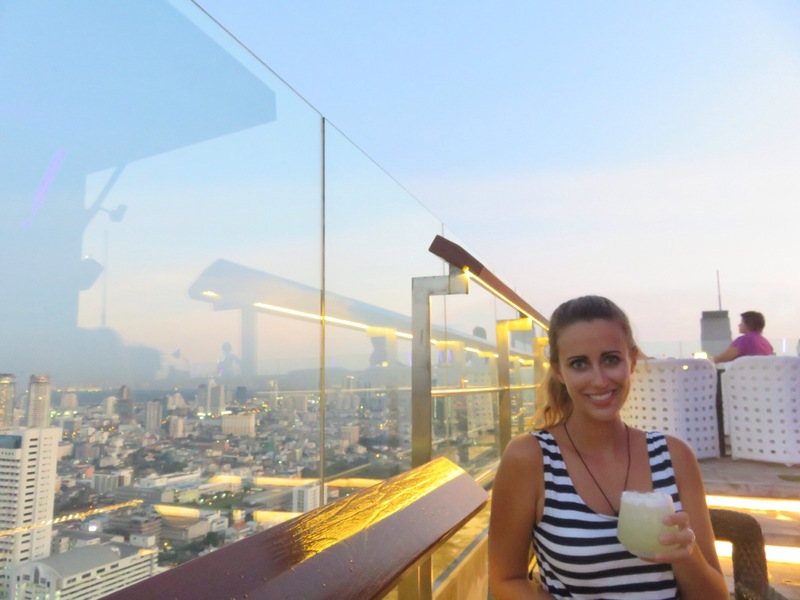 Bangkok is full of roof top bars so it’s just a matter of choosing what’s best for you. The most popular is Sky bar, but they have a strict dress code which we weren’t prepared for. We chose the Mode Saturn which is really easy access from the sky train. The views were stunning and the margaritas were delicious! Bangkok is definitely a place I will be visiting again! Now it was time to say a sad goodbye toThailand after spending a month discovering all it had to offer. Next up, Cambodia! I am spending 4 days in Thailand next summer as part of 4 weeks in SE Asia. Reading this has made me so excited!